There are many factors that influence whether a live album is successful or not. One of the most important is the source material. If the artist doesn't have the songs, then there's almost no way that the resulting live record will be any good. We certainly don't need to worry about that when it comes to Nick Cave and the rich catalogue he had to draw upon for his new live document: Live From KCRW. The album, recorded in front of a small audience at the KCRW studios, obviously spotlights songs from his latest opus Push The Sky Away, but it also includes a few favorites and rarely performed numbers from his vast repertoire. Some of the new songs prove they belong alongside the classics. The juxtaposition between the lovely melody and the dissonant underpinning on "Wide Lovely Eyes" creates a striking effect. "Mermaids" and "Push The Sky Away" are powerful mood-setters. The real gems here are the reworkings of Cave's earlier material. The stripped down rendition of "The Mercy Seat" puts the emphasis on the lyrics rather than the building frenzy, making it closer to Johnny Cash's account. The updated arrangement of "Stranger Than Kindness" removes much of the eeriness by adding structure, making it a more accessible rock song. The surprise inclusion of "Far From Me", with its strings and piano, provides the most beautiful moment in the set. The set gets a little bit too mellow at times. Opening with the 9-minute "Higgs Boson Blues" is probably not the best way to engage an audience, but who am I to quibble with a master? "No More Shall We Part" and "People Ain't No Good" both lack the punch to deliver any meaningful value on such a short record. The reverb and feedback drenched closer "Jack The Ripper" is really the only moment that the listener gets a glimpse of Cave's the evil preacher persona, sending everyone home on a euphoric note. 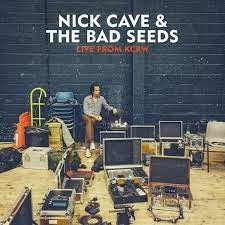 Nick Cave & The Bad Seeds play the Sony Centre in Toronto on July 31st. Best tracks: "Wide Lovely Eyes", "Far From Me"